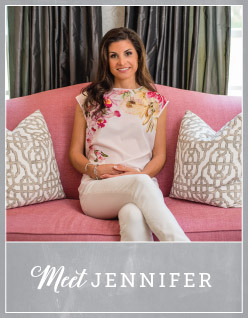 I am so excited to introduce and share with you my new business, Jennifer V. event design & planning as well as my website, www.JenniferV.com. After years of contemplating starting an event planning business, I have finally decided to seriously move forward with it. Actually, my husband encouraged me to pursue the idea. He has been the largest influence in pushing me to start one of my biggest dreams; owning my own business and doing what I love to do; plan parties! I can’t thank him enough for all his support, confidence and inspiration. He has really taught me to believe that I can do whatever I put my mind to, and for this I am very grateful. Thank you, Patrick! For as long as I can recall, I always loved being involved with children and planning! I attended the University of North Carolina at Wilmington and received my bachelors degree in Education and minored in English. I taught elementary school for a few years and enjoyed every minute of it. It was a pleasure working with the students, parents and my colleagues in planning not only lessons but holiday celebrations and monthly events. I had a passion for making every project visually bright, unique and exciting and loved using stickers and any paper product I could get my hands on. The obsession I have with “working” with these products has taken me down this road of planning parties and making them extra-meaningful by being imaginative in creating invitations, gift tags, cupcake toppers, labels and more. I am always on the hunt for new ideas in the paper industry that I can use personally, as well as for my clients’ events. When I was planning my son’s first birthday, (which I spent about 5 months on!) I spent a lot of time reading and searching online for all the new trends and stylish ideas that I could incorporate into his themed “whale birthday party”. To me, the first important thing to have when hosting an event is a fabulous invitation. I believe the invitation has a lot to say about the party. It gets people excited and curious about the party and for the hostess, it is the kickoff to the celebration. My little guy definitely had one of the cutest invitations I had ever seen! Planning a child’s birthday party is one of my favorite things to do! For the last 5 months, we have been working on my website and business plan. I didn’t think the day would come when it finally would be completed! But it is here, officially, and I am thrilled to share my website with everyone! Before you take a peek at my website, let me tell you a little bit about my new business. Jennifer V. event design & planning is an event planning company located in the Raleigh, North Carolina area. I can plan all kinds of life celebrations such as birthday parties, dinner parties, holiday parties, corporate events, weddings, religious celebrations, showers and more. I offer packages for childrens parties, a la carte services, and I can customize a package to meet any need or budget. I can provide hip and modern entertaining ideas and products. I can help make the process of planning a party easier and enjoyable. I plan to blog weekly about my business including event happenings, recipes, party tips, fun holiday ideas, crafts, fashion and more. I hope that you check back often and share with me your inspirations too! I’d like to thank the following photographers for taking the pictures that are used on my website. They truly have a talent in photography and I am very thankful that I had the opportunity to work with all of them. Their experience and ability to capture each moment makes them very professional and creative. They are all people I will always trust behind the camera and would highly recommend. Please feel free to “like” me on Facebook and “follow” me on Twitter. To be the next “Hostess with the Mostess” contact me!